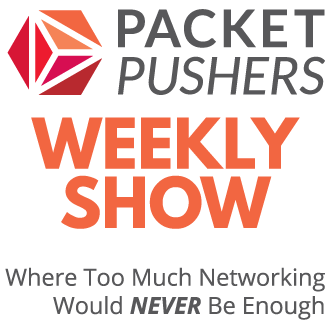 Packet Pushers’ Heavy Networking is a podcast about data networking by network architects. It’s deeply technical and unabashedly nerdy. You get unvarnished opinion and practical insight on everything from network design to new products to worklife issues to the latest technology developments. What you won’t get is marketing drivel, buzzword bingo, or empty consult-o-babble. Whether you’re a freshly minted router jockey or a grizzled networking vet, you’ll hear independent voices who speak for IT professionals. Listen every week to sharpen your knowledge, learn something new, and have some fun. Listen to Packet Pushers on your smart speaker using TuneIn broadcast service. Stitcher is popular player for Android.